She’s a senior. My daughter Shelby IS A SENIOR. As the end of the school year races to a close, I’m trying to stay in my feelings. My temptation is to stuff them down and barrel through this season, but I know this approach will only leave me with bigger, pent-up, frustrated feelings down the road. So better for me to be open to the emotions as they come: joy, sadness, pain, loss, frustration and happiness. I vacillate between them all. And probably a few I haven’t identified yet. 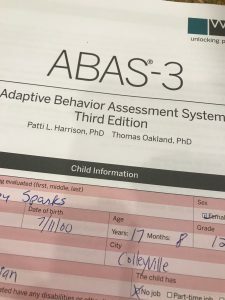 so that we can have a current and accurate IQ test for Shelby as we go to court to be appointed her legal guardians at age 18. Shelby got to go to prom. Complete with friends, a corsage and a limo! I am so very grateful to the Best Buddies organization and an especially sweet and loving group of kids who have a heart for the differently abled. I believe I scared a poor 17 year old when I hugged her and shed way to many tears on her formal attire to thank her for including my girl. On Monday, Shelby gets to do an elementary walk. This tradition takes the seniors back to their first school in graduation gowns to walk the halls and see all their old teachers. 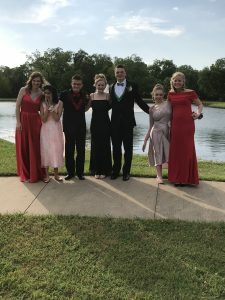 She gets to participate in Baccalaureate – a religious service for the graduates (having already been presented in our own church on Senior Recognition Sunday). On the the last day of school, Chuck and I will get to join other parents and friends lining the halls of the high school to Clap Out the seniors as they exit the building for the last time. Then she will help round out the Best Buddies team for field day! And finally she will get to walk across the stage with the help of her teacher and favorite paraprofessional to receive her diploma with her classmates. So much she does get to do. So much fun! We had a program similar to the Best Buddies at your daughter’s school. It was beneficial to all of the kids who participated! Bless your daughter. She IS “fearfully and wonderfully made”. She is lucky to have a mom as caring as you! I’m the lucky one, Laurie! Shelby is a beautiful young lady and I’m enjoying your pictures and thoughts as she takes part in Senior activities. I’m trying to stay in my feelings as well now that my oldest is graduating in two weeks. Hugs as your family journeys through this stage of life! Thanks, Leilani. Congrats on this milestone for your family! Congratulations to your daughter! I’m praying for lots of wonderful memories for you all in these last weeks of high school. 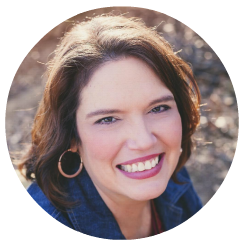 I also wanted to tell you that I loved your guest post at Rachel Lee’s and will be featuring a link to it next Friday at the Faith ‘n Friends Link Party at CountingMyBlessings.com. I’m so looking forward to getting to know you better, Lauren! God bless you! Wow! What a blessing! Thank you so much for featuring me. I’m so glad we have connected in th blogosphere! Congratulations for your daughter and for you, her mother! 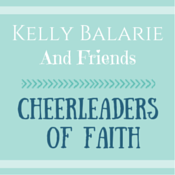 Though her future may be different than the norm, she is where God wants her. Blessings to you and yours! I’m your neighbor at #SundayThoughts. Awww! What a beautiful daughter! I’ve never heard the term ‘differently abled’ before, but I LOVE it! That describes every single one of us. We are all differently abled. Blessings as you continue doing life with your precious daughter! Lauren, I’m so proud to even say I know you. What a blessing to watch (even from a distance on Facebook) your beautiful family embrace all of the blessings in the different seasons of your life. As someone who has spent a teaching career with the differently abled, I admire your family so much. 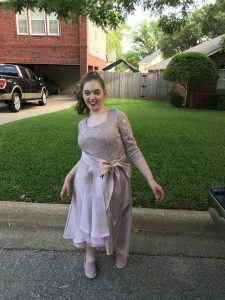 How fortunate you are to have so many opportunities for Shelby to participate in and a school that embraces and enables that for her and her peers. 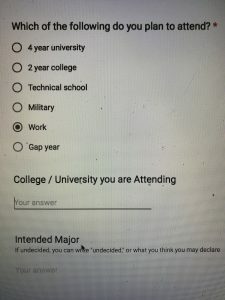 No, her future may not fit on a “normal” form, but she has a purpose and a calling and fantastic parents that God specifically chose to share that journey with. Y’all inspire so many!!! We could learn a lot of lessons from your beautiful example. Love you & miss you!!! Sweet friend, your grace-filled words could not have come at a better time. Today has been tough as we went to court to be appointed Shelby’s legal guardians. So your kind words are a balm to this mama’s heart. 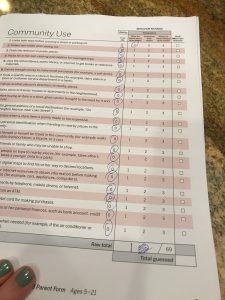 Thank you so much for reading and taking the time to comment. It means so much to me! What a beautiful testimony of the Lord’s faithfulness! Thank you so much for sharing your journey with your beautiful daughter. Just this weekend our church celebrated the baptism of a teenage boy with special needs at our church. His older sister and our pastor baptized him, and she beautifully shared that although her brother may be differently abled, he is fearfully and wonderfully made–and created to reveal the glory of his Creator. There was not a dry eye in the room. Blessings to you as you continue to journey with your daughter, celebrate the “lasts”, and create new precious memories! Lauren, my eyes filled tears as I read this and my heart hurts for you and Chuck but at the same time, I too, am so happy and thankful that Shelby gets to experience some of the same traditions that other graduates participate in during this time. I can only imagine all the emotions that you are experiencing and I’m praying for you friend. I wish I was there to give you a hug. Tammy is so right though, you’re family has inspired so many! Love you! You are too kind, friend. My emotions are all over the place right now, but our God is good. Love you. Lauren, your post brought tears of gratitude as I think of my nephew graduating and how his situation is so similar. He has brought such joy to our family, and every milestone is filled with gratitude for “one more day.” Praying for you and all the beauty of these moments as well as the spaces in your heart that need God’s tender care. Hugs! Aww….congratulations to your beautiful, beautiful girl! God bless you with many more special moments together filled with love and meaningfulness. Thank you, Cheryl. And thanks for stopping by! Lauren!! All the **feels** I am shedding tears as I read your beautiful post about your beautiful girl. All the hard’s and all the celebrations. I love that you referred to your girl as “differently” abled, opposed to disabled. Sometimes the terms we use to describe others, seem…..wrong (for lack of a better word). I am so enjoying following your stories. You are a brave and beautiful mama to an equally brave and beautiful daughter! You are too kind, Rachel. Thank you. Hello, Lauren! I love your excitement and your authenticity and transparency as you talk about being overjoyed for your daughter and her accomplishments and also discouraged that it isn’t part of the norm. 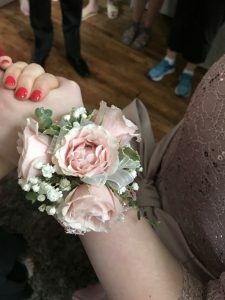 I love that she got to go to prom and will get to graduate and participate in many of the same things, “normal” kids do.. in fact, it will mostly likely mean more to you all, than some others I know you probably already know this, but you are an amazing momma and your daughter is one amazing beautiful young woman. God has some amazing things in store for you all! Blessings and yes, enjoy this season, it goes way, way too fast. I am stopping by this week sine you lined up with #TuneInThursday and also we are neighbors this week at #DestinationInspiration Blessings upon you all!